Feline Immunodeficiency Virus, also commonly known as FIV is a virus that is passed between cats through contact with the saliva, usually via bites and scratches. The condition is very common worldwide and affects all breeds of cats. FIV is a rather serious viral condition as it progressively destroys the cat’s white blood cells, causing the immune system to become severely weakened. If not treated, serious infections will usually follow. 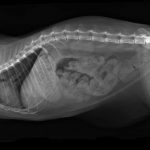 It’s sometimes difficult to diagnose a cat with FIV as many will live with the virus for years before showing any real symptoms. If your cat is showing any signs of sickliness over an extended period of time, there’s a good chance that they have the virus. It is thought that, depending on the country, the infection rate is as high as 47%. While there’s no medication that will kill FIV, there are a number if treatments aimed at keeping your cat’s immune system as strong as possible. Antibiotic treatments and nutrition plans are among the most common things proscribed. Although there is a vaccine now available for FIV, its use is somewhat controversial. It is not considered to be 100% effective and some cats remain susceptible to developing the virus. Although the rate of FIV in some countries is very high, cases of Feline Immunodeficiency Virus has in fact decreased dramatically since it was first discovered back in 1986. Increased awareness and better testing, paired with the ready availability of a vaccine have all helped to lower the rate of infections. There is a long list of symptoms that can point to FIV. The Feline Immunodeficiency Virus attacks the immune system and, because of the decrease in white blood cells, the cat’s ability to fight off infection and illness is severely reduced. General sickliness will often result, although serious symptoms may take many years to rear their heads. If your cat is showing any of the signs listed below, it’s a good idea to take them along to your vert for testing. A thick, mucus-like discharge from the nose or eyes is a sign that the cat is unwell. If it occurs regularly, see your vet for advice. Like any animal, fever is a sure sign of illness and should be treated seriously. Look out for irregular temperature, shivering and sneezing. Reduced Appetite. 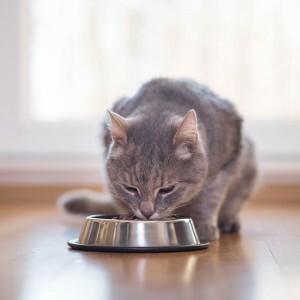 If your cat isn’t eating properly or showing its usual enthusiasm for food, it may be a sign of sickness. Hair Loss. If your cat is shedding more hair than usual, it could be a sign of FIV. Look for redness or rash around the affected areas. 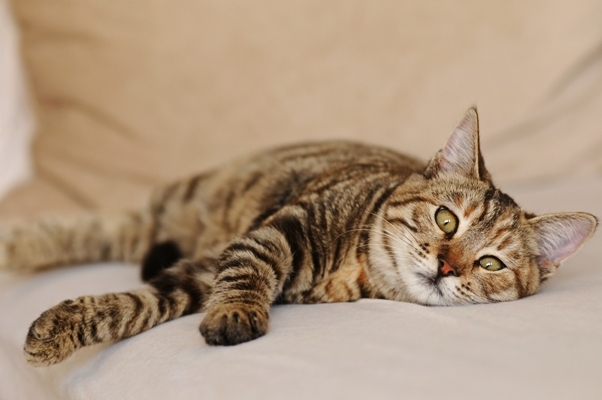 If your cat is passing watery excrement, it could be suffering from the effects of FIV. The cat may also be drinking more water than usual; this is a sure sign of kidney problems and should be assessed by a vet. Inflammation of the eye paired with the abnormal discharge of a thick soup-like liquid. Inflammation of the gums, often paired with excessive bleeding and sores. If your cat is urinating more often or is struggling to urinate, this can be a sign of FIV. Sometimes they will urinate outside of their litterbox, often unable to control when and where. Again, as with all symptoms, they can be attributed to a number of diseases and conditions. If your cat is showing any of these signs, it’s important to seek professional advice as soon as possible. Vaccinations have been introduced to fight FIV but the virus can still occur in vaccinated animals. FIV isn’t as common as it used to be but the disease affects as many as 47% of domesticated cats in some countries. 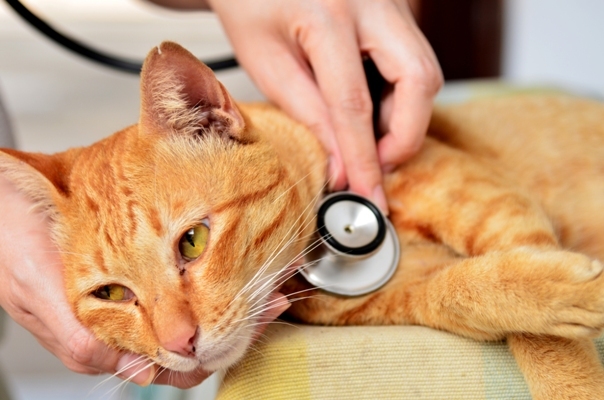 Because the symptoms are usually associated with the infections and conditions brought on by FIV and the damage the virus does to the immune system, vets cannot diagnose the virus by simply observing your cat. Blood must be taken and tested for the virus. The tests aren’t 100% accurate and your vet will assess the results and determine whether further testing is required. It’s suggested that cats have a check-up at least once every six months to screen for the virus. Blood tests and urine samples are taken at this time. If the cat is found to be positive for FIV, it’s then possible for the animal to spread the virus via scratches or bites. Even the offspring of a cat with FIV will have the antibodies for the virus and won’t have them cleared from their body until approximately six months of age. Kittens of a FIV positive mother should be tested after this six month period to determine whether they too have the virus. Feline Immunodeficiency Virus has no cure at this time. Treatments are focused on strengthening the cat’s immune system that has been weakened by the virus. FIV progresses slowly and it’s usually only after a few years that the cat will begin to develop infections and other illnesses more easily. Antibiotic treatments, as well as immune stimulants are used, together with the development of nutrition plans to assist in maintaining the cat’s overall health. These treatments are usually aimed at the organs that have been affected by FIV. Gum and mouth infections are common symptoms of the virus and enhanced dental care, as well as a course of antibiotics is usually proscribed to those cats suffering this problem. Cats with FIV are susceptible to all kinds of illnesses. While they may require more medical attention over their lifetime research shows that, with patient and kind-hearted owners, FIV sufferers will live comfortably to an age comparable to a healthy cat. FIV sufferers are much more likely to develop infections from raw food and exposure to parasites. It’s best to develop a suitable nutrition plan with the help of your vet and keep your cat indoors in the future. Feline Immunodeficiency Virus is spread through direct contact with other cats. Cats who get into fights with strays or have contact with other cats around the neighbourhood are far more likely to become infected with the virus. The best way for your cat to avoid FIV is to keep them indoors and away from other cats. Many cats can also be born with the virus, or at least develop it from the antibodies it is born with. Be sure to buy your kitten from a responsible breeder or, if you’re adopting your cat from a rescue shelter, inquire about the cat’s health first. If your cat has the virus already, be responsible and keep it away from other cats. The first step in stamping out the virus completely is to stop it from spreading. All breeds of cat can be infected with the FIV virus. They are much more likely to be exposed to the virus is they come in contact with strange cats or strays. Feline Immunodeficiency Virus can only be passed onto cats. Humans cannot be affected by the virus and neither can dogs or other pets around the home. FIV is a very new virus. It has existed for many years but was only discovered as late as1986. It’s for this reason that testing and the recent vaccine are not as invulnerable as they could be. Research continues to find a vaccine with a 100% success rate. The FIV virus cannot survive outside of the body. If your cat comes into contact with saliva or blood from an infected cat that happens to be on the carpet, the chances of infection are miniscule to none. 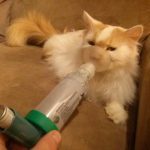 Feline Asthma or Feline Allergic Airway disease (FAAD) Pneumonia is a respiratory disease which is characterised by an inflammation of the lungs and bronchi, the airways which feed air into the lungs.